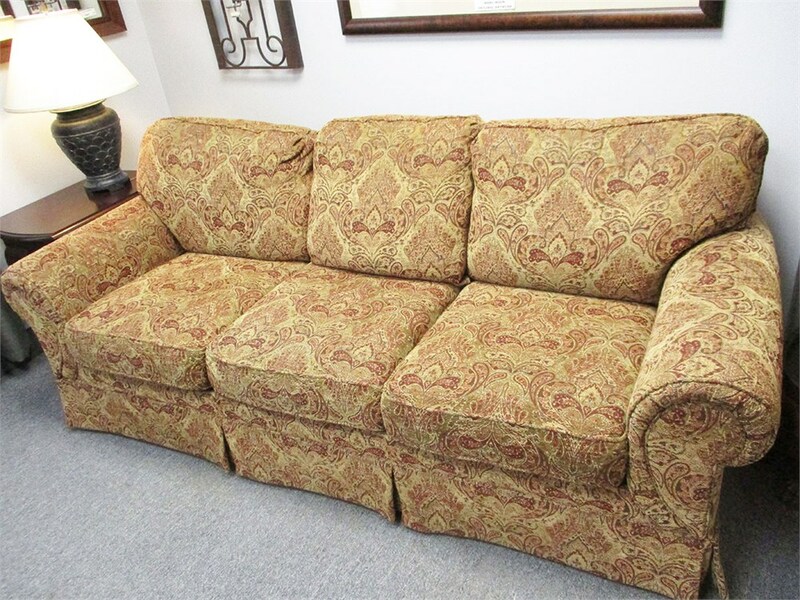 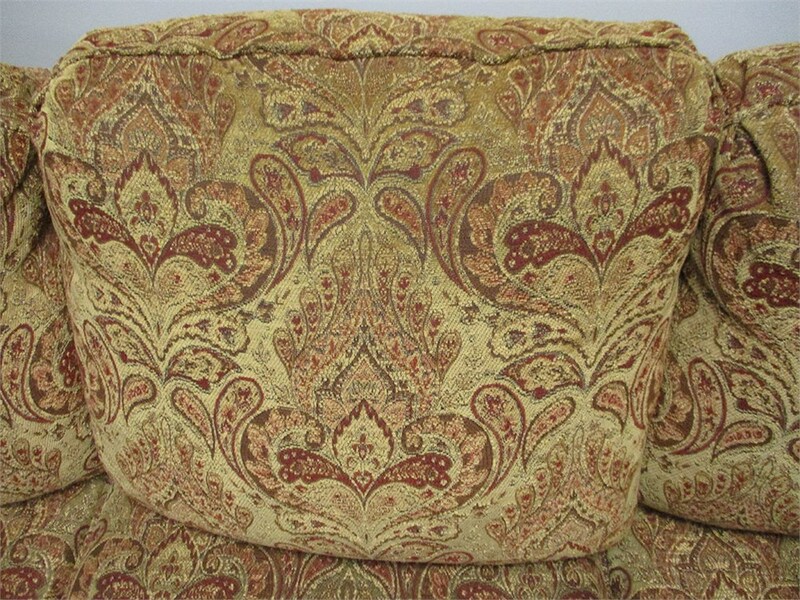 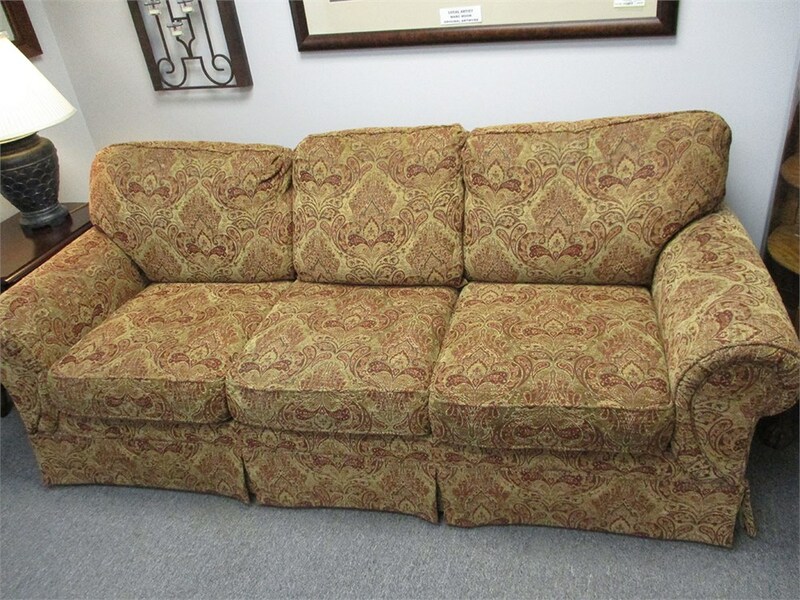 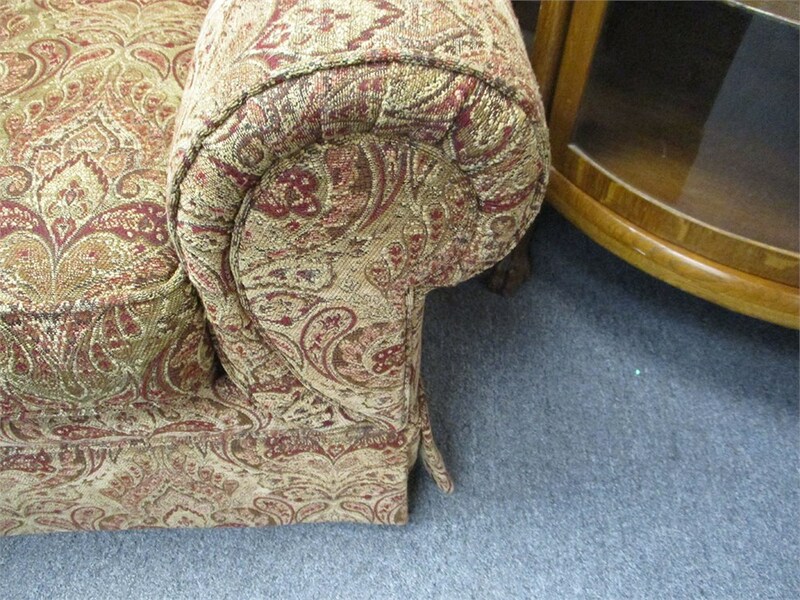 Size 85.5"W X 38"D X 30"H; seat height is 19"
This sofa is just perfect - not too big, not too small. 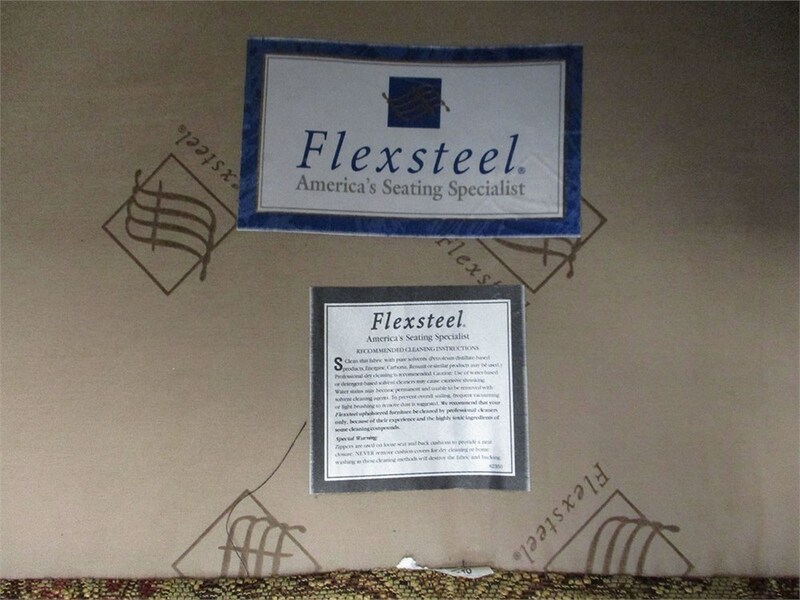 It is by Flexsteel, so the quality is excellent. 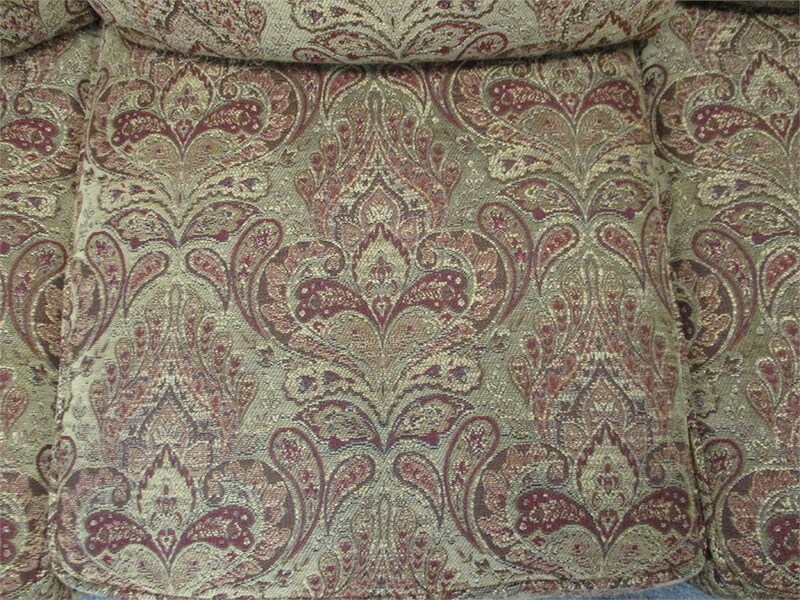 The pattern and fabric are perfect neutrals with a little kick.